A recent study carried out by Dundee university has independently verified that Flair – The air flocking system gives 26% less pressure on your horses back than wool flocking! 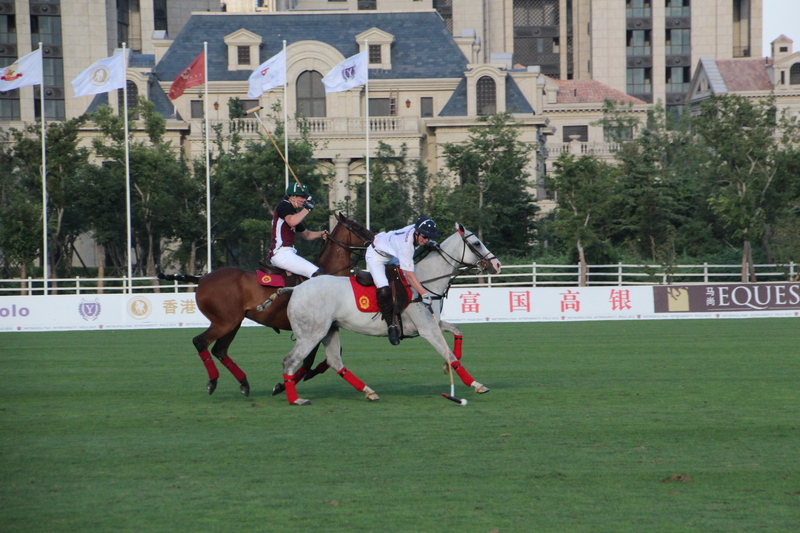 The research undertook to measure the forces on the horse and the rider. 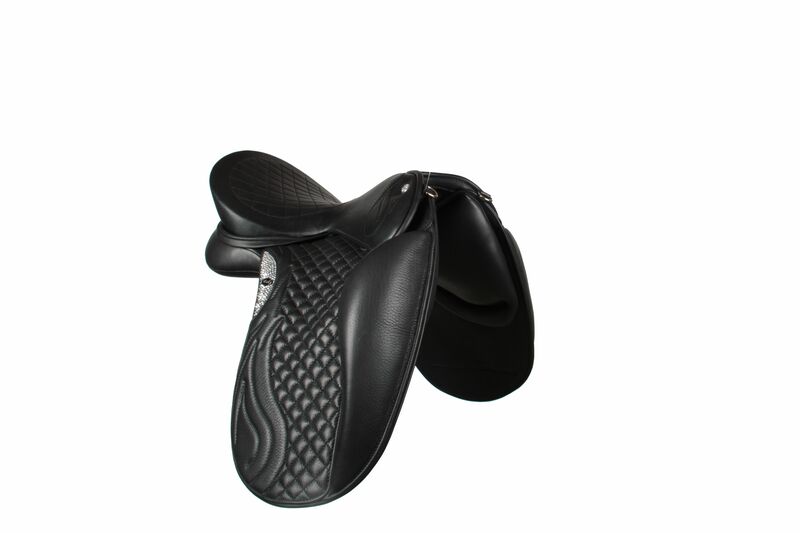 By using one horse and six riders using the same saddle filled with wool and then with the Flair air flocking system. This is a great independent test of the Flair system. The research found that the forces on the rider increased with Flair. This is not a negative as the problem with this type of testing is that the horse is not constant. When such a large difference in pressure is made to the horse’s back this allows the horse to move bigger under the saddle/rider. The reduction in pressure results in increased stride length along with swing and elevation of the back. This induces move movement in the rider, which amounts to more forces being applied to the rider. In other words it verifies what First Thought Equine Ltd the manufacturers of Flair have claimed about their product, that if you want a bigger moving horse Flair has the ability to deliver that movement. It has therefore been suggested that there be another study carried out where the horse is replaced with a simulator so that a more controlled test without variables in the horse’s gait affecting the data. 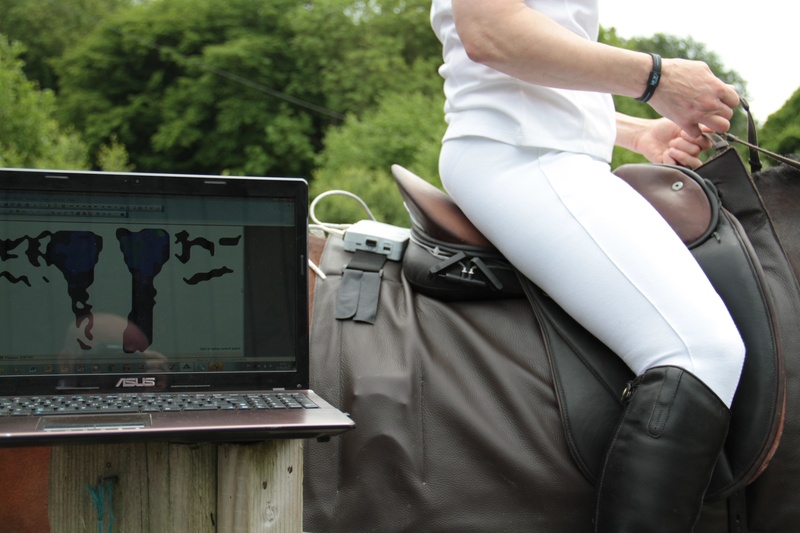 A simulator will keep the horse induced movement in the rider a constant and therefore accurate assessment of the forces applied to the rider using various saddle flocking materials can be measured accurately. First Thought Equine Ltd have 10’s of thousands of customers using the Flair system, a lot of them with quite severe back problems. All these riders report that they are much more able to ride with the Flair system in their saddles compared with other flocking materials as this typical email points out. “Well, like everything in the winter it seems a bit like Ground Hog day! Even this blog, I’ve written it once, was pleased with it and then for some bizarre reason my iPad erased it out of my notes file! So even when I’m trying to be an admin genius and usefully using the days where I can no longer fight the elements, it does not go to plan! So the winter has been a time of stepping up and moving on! Terribly exciting and exhausting as only the winter can be. Saying that with all the terrible news coming in from my birthplace of Cornwall I can only conclude that thus far we have got off lightly with out sea of mud and slightly squelchy outdoor school. Having done the summer championships with both my chestnut boys I came home determined to get Wex (World Exclusive) ready for the winter regionals at medium and advanced medium so the winter planning had to include a competition schedule to make that possible before the end of November. 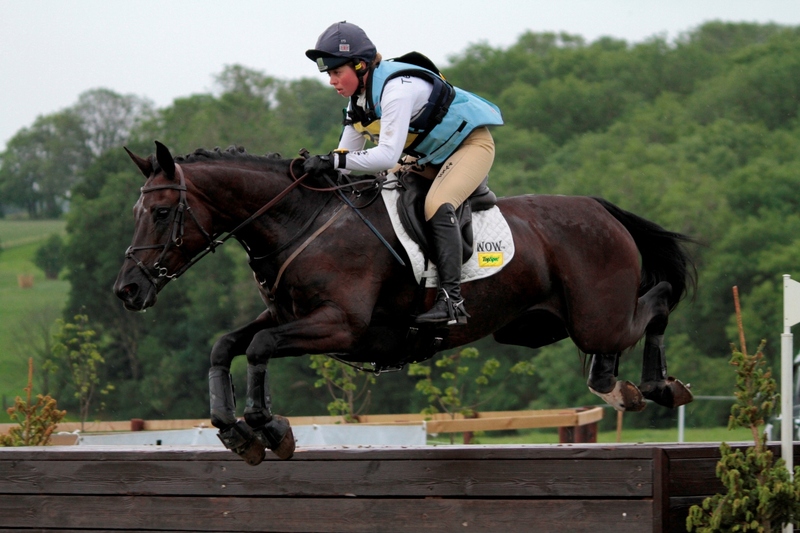 Wex is a star and it’s all to easy to forget he is only seven this year! He has struggled with confidence and I think this goes hand in glove with strength to carry and balance himself. He has a fabulous way of going and it’s improving all the time. 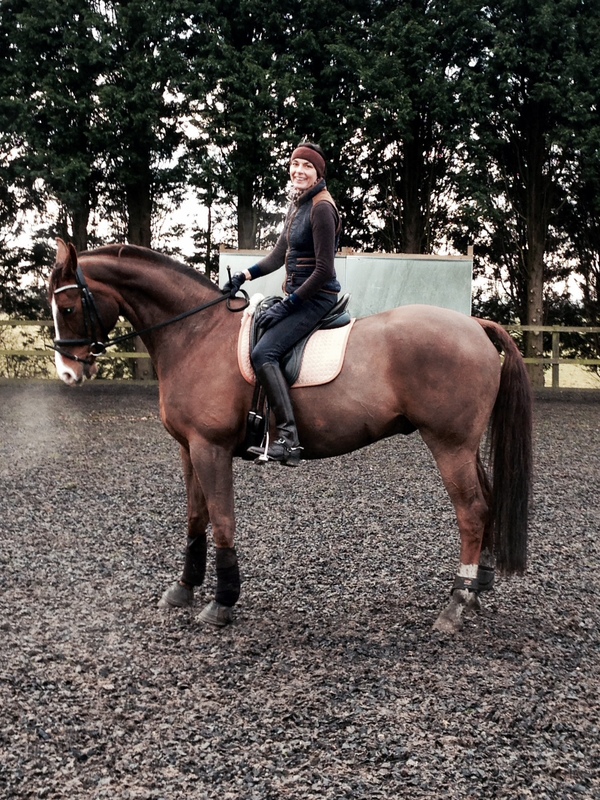 After a training session I decided to spend a month of riding with no legs (not literally but not using my legs while riding) I learnt this from my friend Lee Pearson and how he wants horses to go is with a click of the tongue, a light tap with the whip and the smallest leg aid. Initially it was weird but really thinking about it and how I use my upper leg and seat. This also had a positive effect in lateral work. So the end result was a quicker lighter way of going especially in the trot and especially on ten metre circles where he could get slow and lumpy. A test for all this work and improvement was the high profile show at Vale View, where he won the medium winter qualifier and was second in the other medium. 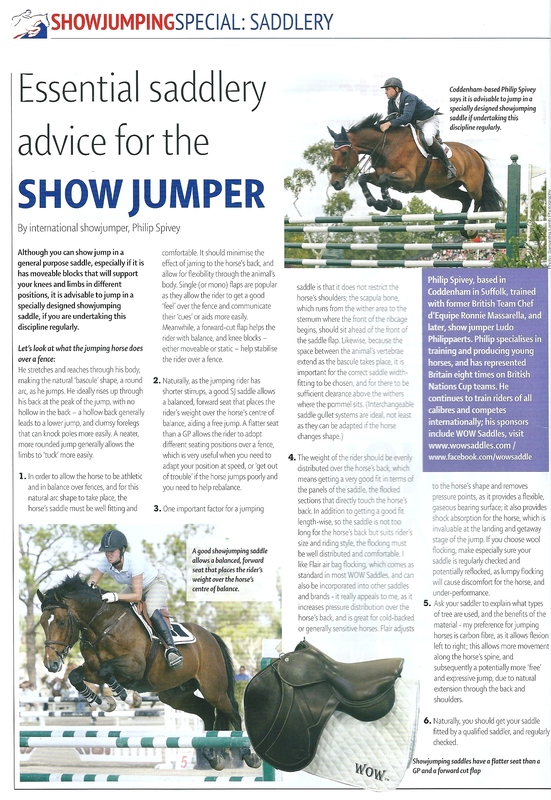 The best result for me was recently at the Addington High profile show. Wex came out so happy and confident and I feel he has finally stopped physically growing. He felt amazing and was confident and responsive throughout both his tests. 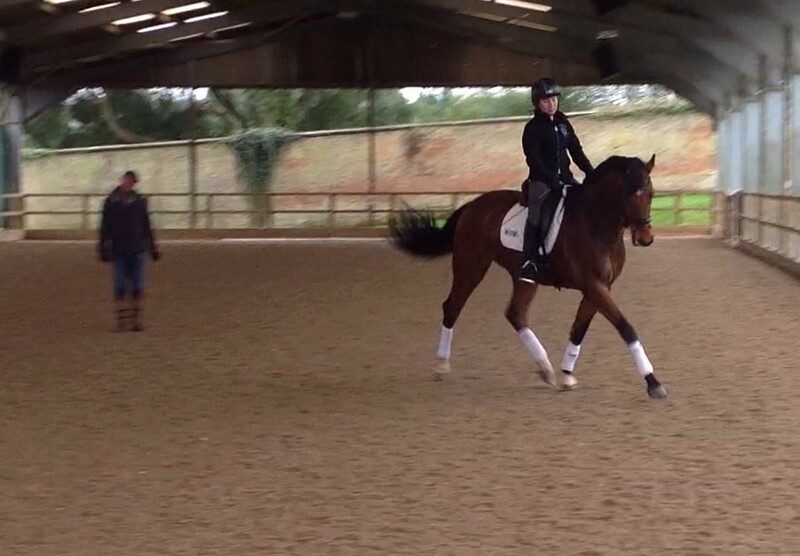 The advanced medium was particularly fab where he got a fab score (73.18%) and some lovely comments from the judge. For me however it was how happy, confident and willing he was that was so great and I could not have been more happy with how he had worked for me! 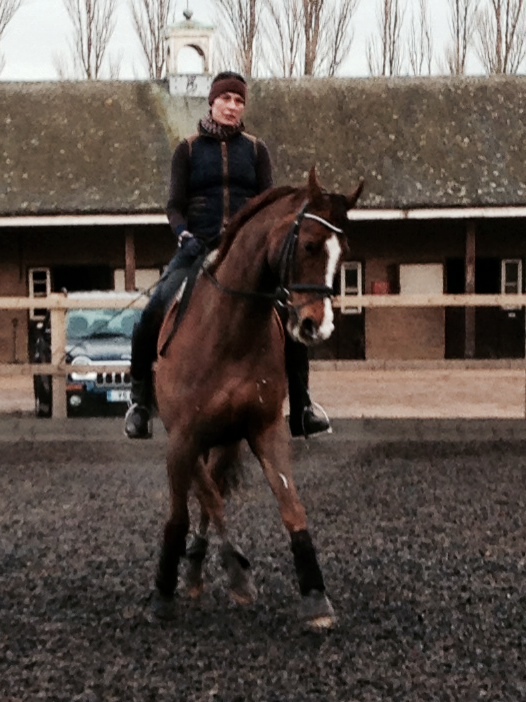 The other great thing was his owner Charlotte was there to witness her horse’s progress. This makes the process doubly rewarding. 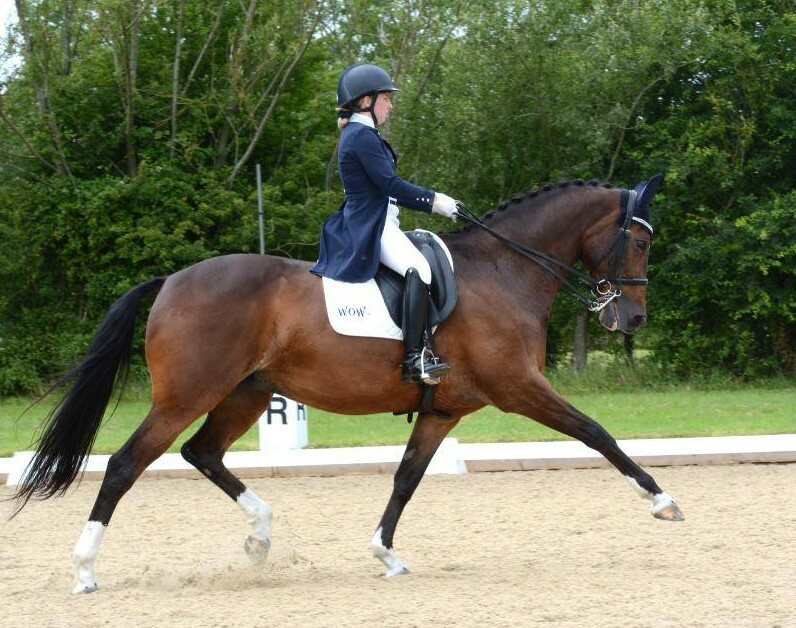 Wex’s next test was to be the regional championships at Addington in both the medium open and the advanced medium open. Yet more horrible weather, trying to keep up the training schedule was a challenge, I think I’ve been wet to the skin every day for months at least once a day. Usually as I drag poor Garuda out of the stable! (More about him in a mo!) The wind was crazy on the Saturday of our medium regional, driving the lorry was interesting and I was glad it was not too long a journey! Our test was inside in the international arena and thankfully; we had the luxury of working in in the old indoor. Wex was a really good boy, he’s often a little less ‘goey’ indoors and I was happy how he worked but knew it didn’t quite have the power I know he has to win but a good score of 69.38% put us in 3rd (by one mark!) but that was qualification for the nationals so job done! The advanced medium was also a good test the next day but he was good not ‘wow’ which he needs to be again another 69.13 % score and 6th with 3rd to 7th all on 69% so waiting to see if we get a wild card at the moment!. All in all a good regional with a lovely horse that has a great future so I feel very lucky. My winter has also been a time of moving Garuda up to Grand Prix. It is a life long dream to train a horse to this level. Its one thing riding to this level, a whole different ball game being responsible for developing a special horse to this level! Any horse that is able to perform the requirements of Grand Prix in a test is a special horse so it’s not just my bias towards the wonderful Woodcroft Garuda K! 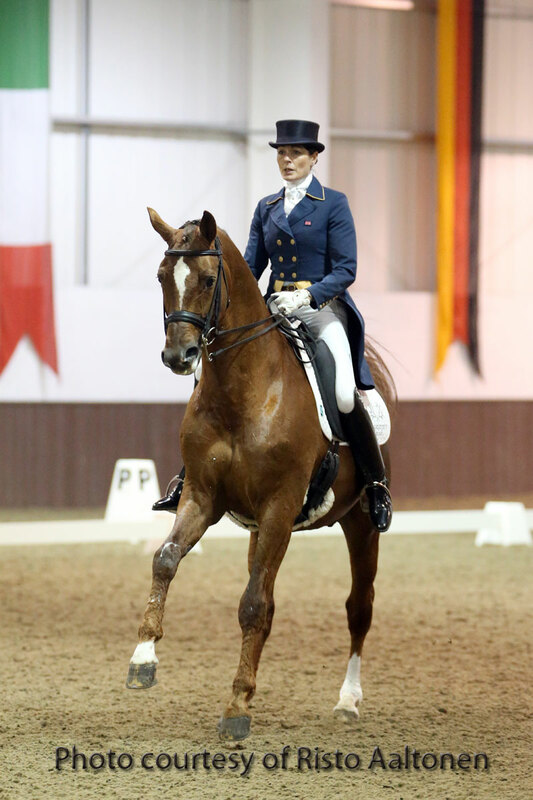 Our first test at Grand Prix was at the Bury Farm high profile show in December, a huge entry of 24 starters! How amazing and obviously an indication of how the sport of dressage has come on so definitely an Olympic legacy and a result of the efforts of Carl and Charlotte! The crazy thing for the Saturday of the Grand Prix was I’d booked a couple of tables at the Towcester vets 10th Anniversary ball in aid of the air ambulance. A chance for my team, friends and family to let their hair down and have some fun together. Unfortunately I’d worked on last years timetable and thought the GP would be in the afternoon, sadly not! So I was first to go in the class at 6 pm as we had to be back and sitting for dinner at 8.30 pm! I definitely had the most glamorously made up groom as Laura had done her hair and make up in the afternoon! I was really excited about my test I felt the only way to really find out how our development was progressing was go down that centre line. Its one thing doing the movements in isolation putting them together is where it gets tricky! I was pretty happy with our first slightly green experience! I over rode the piaffe / passage transition and lost balance in the second pirouette but overall was thrilled with a 64% and 10th in a strong field with some more experienced combinations. Lots to work on and a lot learnt! Garuda was warmed down, loaded and driven back with alarming efficiency! And Laura and I made it to the ball by 8.35pm! A great evening was therefore had by all! My next competitive outing was the Addington High profile show. 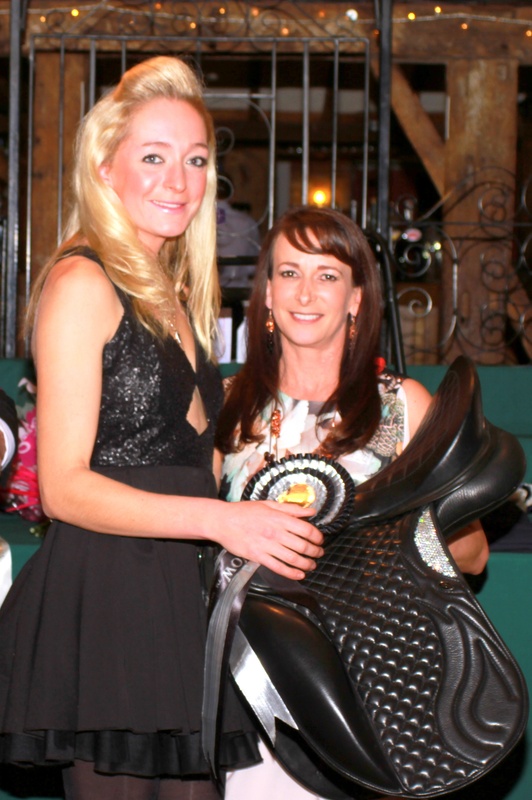 Another enormous Grand Prix of 26 entries! Running again from 6pm to 10.45 pm! I was on at 9.15 pm. 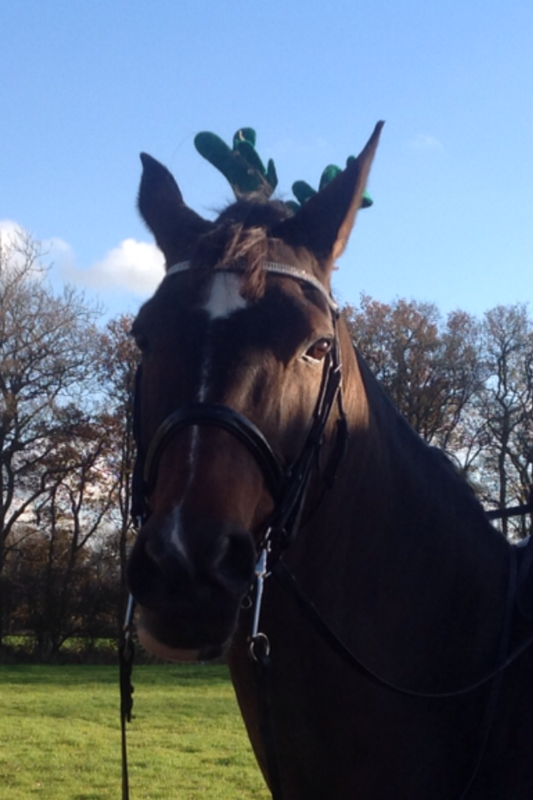 Garuda was a bit bemused by me plaiting him at 6 pm in the evening! 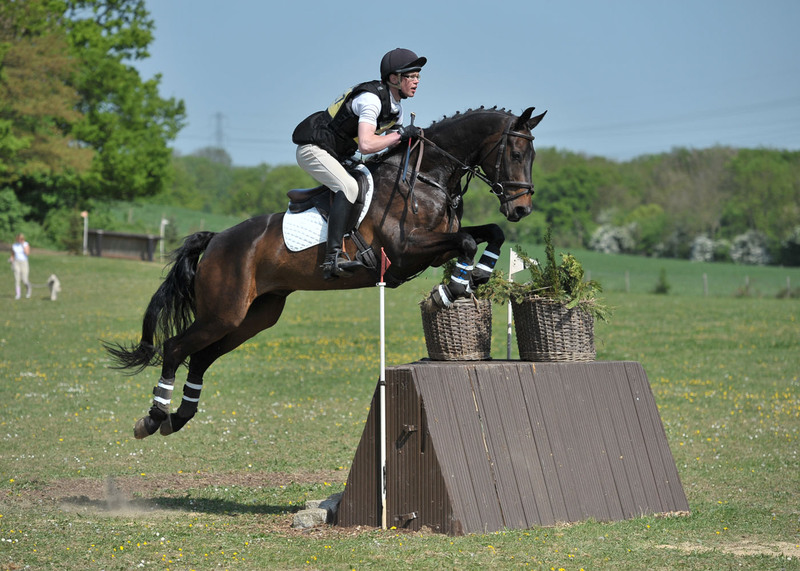 Having done a ‘normal’ GP at Kingswood and got a good 67% I felt happier and wanted a’ clear round’ as I’d been making mistakes in the one tempi changes. My error always, not his, I have to get the balance and the rhythm right then they are really good. The previous weekend Garuda has been at the British breeders stallion parade and it was a super evening, we closed the show which Garuda loved. The only problem was that the atmosphere in the warm up at Addington slightly reminded him of the razzmatazz of the preceding weekend! So he was a little tense during the warm up. In the test I was really pleased with his work. We got all the elements, I got the ones right…woohoo! Counted the zig zag and got the pirouettes. I made a slight hash of the pick up from walk to passage other than that I was happy. So 64% again was a disappointment and I felt really deflated. I read the sheets and took the comments on. Its hard to read but you have to be honest and in the cold light of day I can see that I had to address a couple of issues if I’m to break out of the mid 60’s hole I was in. So I called Paul Hayler (my trainer) told him the wheels had fallen off my cart and we went for two days training! Paul is brilliant, experienced and really gets Garuda and I and where we need to progress. It’s hard work and he is brutally honest, however its what we needed. So I returned from my two days a lot happier and feel like we are back on track. I’ll test this at a two-day show at Keysoe in March before the premier league circuit starts for us in April.